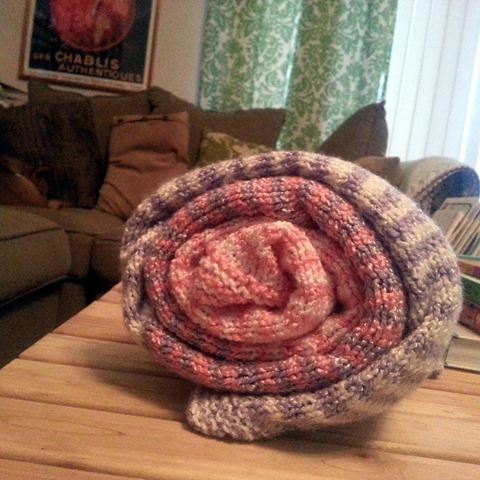 The best part of knitting for me is making something for someone special. You can’t help but think about and pray for that person while you work. 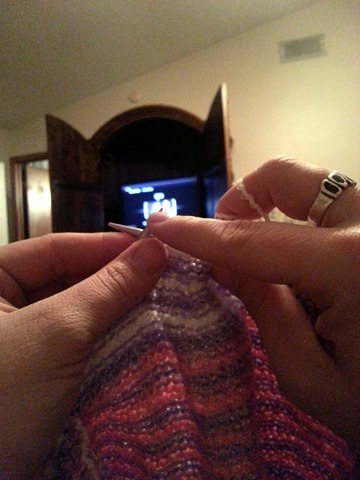 One of my favorite people to knit for is my neice, Amelia (a.k.a. 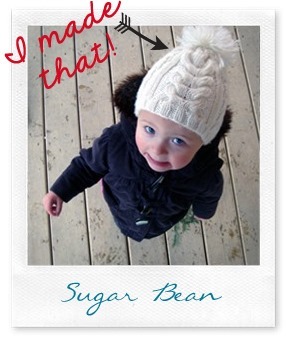 Sugar Bean). So when I decided to start a project to help dwindle down my stash, she was the first one to come to mind. 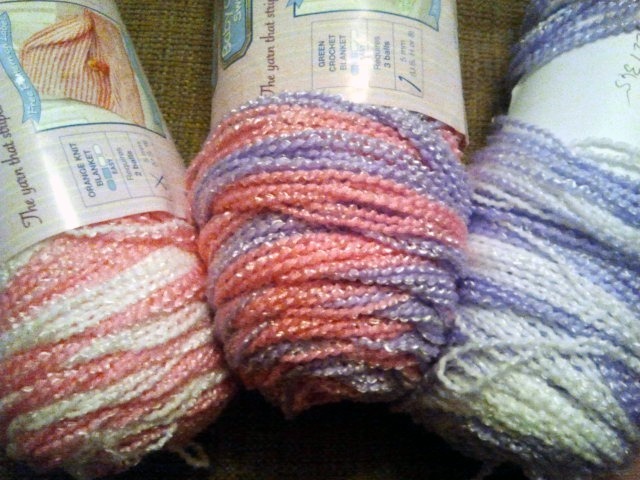 I grabbed these three skeins of yard, all the same brand and weight but in three different color ways. 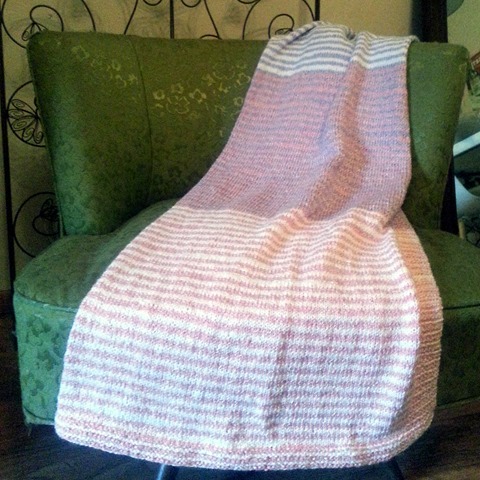 I picked them up years ago on clearance but since they were discontinued, I was limited to a one skein project… until I decided to combine them into a blanket to get a bit of an ombre effect. 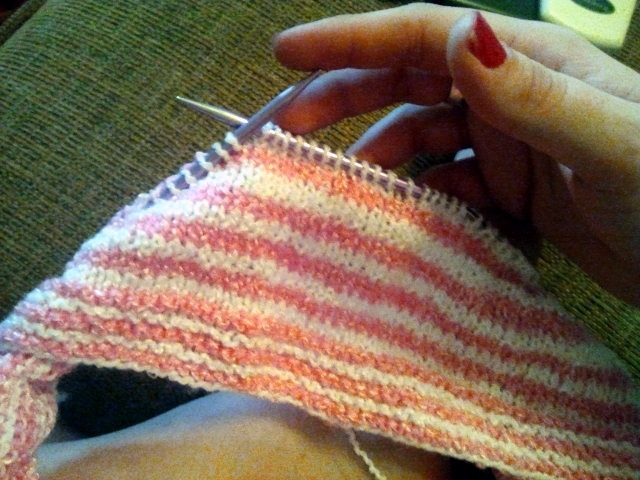 I LOVE SELF STRIPING YARN! No need to switch colors and sew in a million ends! then FINALLY done!!!! 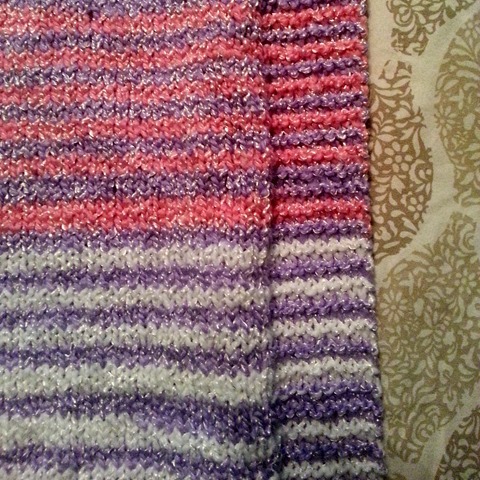 With all the stripes, I decided to keep the pattern a simple stockinette with garter stitch borders. I’m happy with the finished project. It’s super soft and big enough for her to use for quite a while. Now on to her new brother’s blanket! 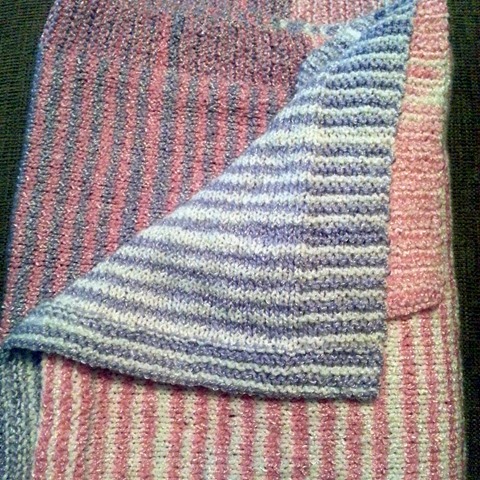 Continue pattern until blanket measures approx 46.5 inches with front side facing for next row. Bind off loosely and sew in ends. 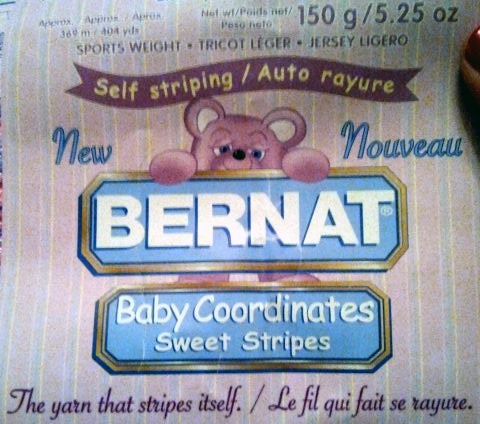 This looks sooo cozy, and perfect for a little girl (who, btw, is so cute I want to eat her up)! Thanks Deagon! I just checked out your site… wowzers! Mariah, that hat is the cutest thing on really the cutest little girl (you know, besides my little girl of course). Nice work on the hat AND the blanket!